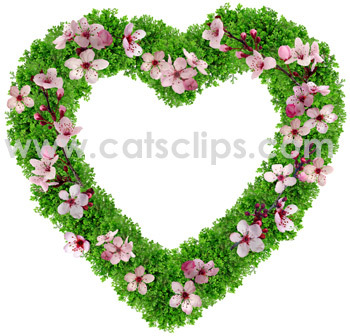 Plum blossoms on a heart made of green moss. Would make a striking border for a spring wedding invitation. Or use to frame a photograph. PNG has transparent center and white background.